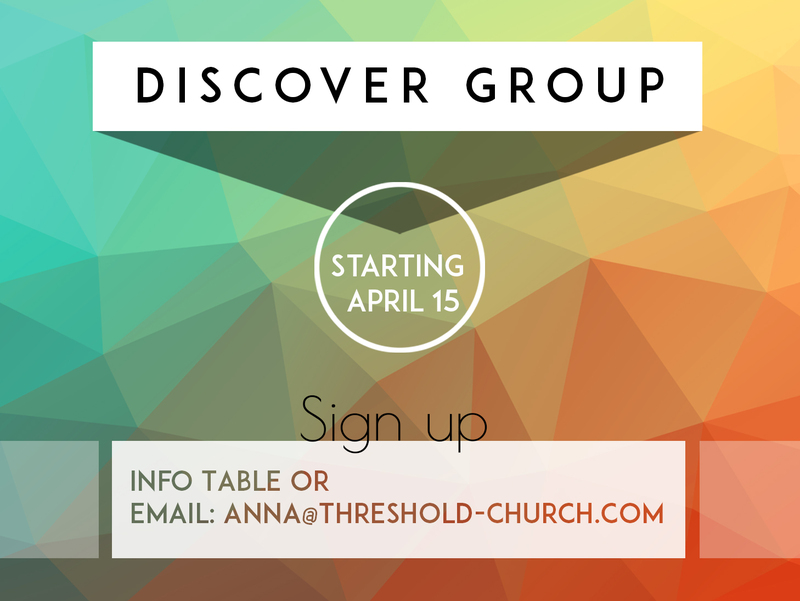 The Discover Group will meet for four weeks in a row, starting on April 15th. In this group you will learn more about the history, vision, leadership, and values of Threshold Church. It is also a great way to connect with others and find out how to get more plugged into the life of the church. Childcare is provided! • Childcare is provided, so bring your kids along! • Registration and commitment to the four weeks is required. Only sign up if you plan to come to all four meetings! • Group is limited to 20 adults. Sign up soon to get your spot!